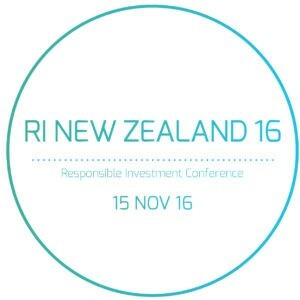 Several Saturn advisers attended the 2016 Responsible Investment Association Australasia (RIAA) conference, conveniently located opposite the Auckland office at the Hilton Hotel. The two key note speakers at this year’s conference were Simon Mackenzie the CEO of Vector Energy and Bronwyn King a Melbourne based radiation oncologist and CEO of Tobacco Free Portfolios. Simon Mackenzie gave the keynote “Creating a New Energy future.” Vector Energy are using technological changes to integrate smart meters, solar and battery technology to create a more sustainable energy network. A high speed Electric Vehicle charging network is being created to cater for the growth in numbers of electric cars on our roads. Auckland is one of the fastest growing cities in the world however we are expected to consume less energy per household than previously due to the use of more energy efficient appliances and LED lights. Dr Bronwyn King, CEO of Tobacco Free Portfolios was working with patients dying from lung cancer when she became aware that her Australian Super Fund included investments in tobacco companies. Through her organisation Tobacco Free Portfolios, Bronwyn encourages fund managers to divest of tobacco stocks on the grounds that it is not a product that can ever be consumed safely and that it is usually children who become addicted. She compared the negative publicity given to exploding Samsung Note 7 smart phones (several injuries reported) to that given to the producers of tobacco, whose products shorten the lives of millions each year. As always this was a thought provoking conference where you become aware that a future of electric cars and sustainable energy is coming more quickly than we realise. It also reinforces how the engagement of investors can influence companies to become more socially and environmentally responsible.